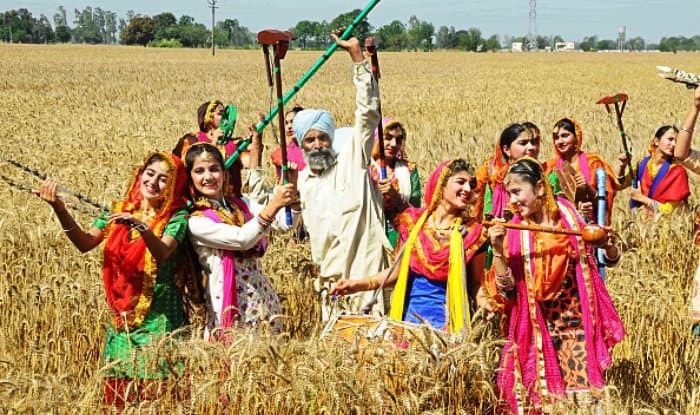 Punjabi harvest festival, Baisakhi is also known as Vaisakhi, Vaishakhi or Vasakhi. It is one of the most important festivals in Sikhism and is celebrated on April 14. This occasion marks the beginning of the Sikh New Year and the traditional solar New Year for the Hindus. The festival observes the formation of the Khalsa pant by Guru Gobind Singh, the tenth and last Guru of Sikhs. The Khalsa Panth of warriors was created by Guru Gobind Singh in 1699. They are also called Panj Pyare. Vaisakhi is a spring harvest festival and is an ancient festival of Hindus, it is celebrated by different names in the different regions of the country but with the same essence and significance of marking the Solar New Year and the sacredness of the rivers. Baisakhi is celebrated to recall the day of March 30, 1699, when Guru Gobind Singh redefined Sikhism to a great extent. While addressing a huge gathering of believers, Guru Gobind said he needed warriors like Guru Tegh Bahadur to save Sikhism from Mughal onslaught. He stood with a sword and asked his community members to show valor. One among the listeners, Bhai Daya Singh, stood up. He was taken behind a curtain by Guru Gobind Singh. After a short while, Guru returned with a sword dipped in blood. Bhai Daya Singh was not with him. People feared that Guru Gobind has ****ed him. Vaisakhi marks the beginning of the new spring year and the end of the harvest of Rabi crop in India. The festival is celebrated with a lot of enthusiasm in an agriculture-dominated state of Punjab and Haryana. Here, farmers thank God for the bountiful harvest and pray for prosperity in the coming year. To celebrate the day, people wake up early and take a dip in the holy rivers. Soon after, cries of “Jatta aai Baisakhi” rent the skies as the people of Punjab attired in their best clothes break into the Bhangra dance to express their joy. The date of Baisakhi has major astrological significance as it marks the sun’s entry into Mesh Rashi. Some people, therefore, know Baisakhi as Mesha Sankranti. The auspicious date of Baisakhi is celebrated as ‘Rongali Bihu’ in Assam, ‘Naba Barsha’ in Bengal, ‘Puthandu’ in Tamil Nadu, ‘Pooram Vishu’ in Kerala and ‘Vaishakha’ in Bihar. The date of Baisakhi festival has tremendous significance in Sikhism. They celebrate the festival as a collective birthday of the tenth Sikh Guru, Guru Gobind Singh and the foundation of the Khalsa (the Sikh brotherhood) in 1699. Sikhs all over the world celebrate the day with a lot of enthusiasm and joy.